CAPITOL HILL - Conflicting White House messaging about a reported breakthrough on U.S.-Chinese trade disputes, coupled with relative silence from Beijing, left many American lawmakers unsure where, precisely, trade matters stand between the two economic giants. For days, President Donald Trump has hailed agreements he says he reached with his Chinese counterpart, Xi Jinping, at the G-20 summit in Argentina, from a 90-day deferment of additional tariffs on each other's exports to a Chinese commitment to purchase U.S. agricultural products to a reduction of China's duties on American automobiles. Chinese officials have confirmed no details of a trade breakthrough and withheld public comment so far. Meanwhile, Trump's top economic adviser, Larry Kudlow, has clarified that there was an 'assumption' China would eliminate auto tariffs, not a specific agreement. 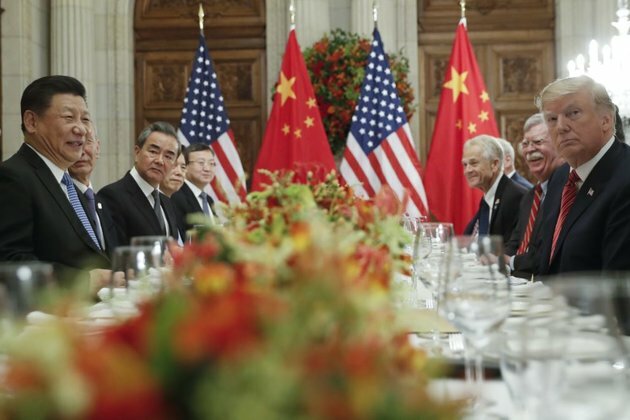 On Tuesday, both he and Trump suggested that the groundwork has been laid for a grand trade accord between Washington and Beijing, but that such a deal has yet to be reached. 'But if a fair deal is able to be made with China, one that does all of the many things we know must be finally done, I will happily sign. Let the negotiations begin,' the president tweeted. On Capitol Hill, senators searching for concrete answers appeared perplexed. Senators from farming states welcomed the prospect of a major Chinese purchase of America's agricultural output. Iowa Republican Chuck Grassley told VOA many of his constituents would benefit. Asked whether Trump deserves credit for tackling thorny trade issues, Grassley nodded. Much work remains to be done, according to senators of both political parties. 'We've got a lot of things we need to work on in terms of intellectual property, technology transfer, barriers to agriculture,' Tillis said. For now, while some lawmakers express cautious optimism, others voiced skepticism. 'I wouldn't be surprised if Donald Trump, as is his style, was simply making things up [about a U.S.-China trade deal] to try to get a single day of good press stories,' Warner said.